Sitting your Hazard Perception Test is a computer based test with you take at your local Roads and Maritime Service office. It is based on a moving vehicle going through certain Hazard situation mimicking real life driving situations which you will be asked to respond to avoid a potential collision. The reason behind sitting the Hazard Perception Test is so when you take your on road Provisional 1Driving Test you will have the skills to react to any potential hazard of any type being things such a person who is crossing the road, a person who is exiting their vehicle, reducing your speed over the crest of a hill, a car backing out or a driveway or vehicle slowing down in front of you. Here at Drivezone Driving School our driving instructors, Dominic, Ami, Laurie and Colin will teach you onroad hazard perception skills during your driving lessons so that you are already prepared for your Hazard Perception Test as well as your on road Provisional 1 Driving Test. To sit for your Provisional Licence you must be at least 16 years of age and must have held your learners licence for a period of 12 months. You must also have completed your Hazard Perception Test at your local Roads and Maritime Service in order to be able to book your Provisional 1 driving test. This can be booked once you have held your Ls for a minimum of 9 months. Once you have passed your Hazard Perception Test the Roads and Maritime Service will ask you to book your Provisional 1 Driving Test. The Roads and Maritime Services will ask you to keep the application form which you presented and also issue you with the paperwork stating you have passed your Hazard Perception Test. Please do not book it with the Roads and Maritime Service as your Drivezone Driving Instructor will book the Provisional 1 test for you in order to make sure your driving instructor and their car will be available to you for your Provisional 1 driving test. As you may have notice Penrith Roads and Maritime Services has moved it location to 333 High Street Penrith and is called Services NSW. Driving Knowledge Test, Hazard Perception Tests and Driving Qualification Tests for the Penrith area and surrounding suburbs are now conducted from this new site. Many new circumstances have arisen from the change in location for the driving test itself such as students will now have to pull out from the kerb into High Street Penrith out the front of the Services NSW building; this means they will have to be careful and look out for vehicles already on High Street, deal with the traffic lights not even 10 metres from where they will have to take off for their test and also keep in mind that not only does traffic come straight up High Street but also traffic turning left onto High Street coming out of Lawson Street at the set of traffic lights. Also students must be prepared to do a reverse park back onto the kerb on High Street when returning to Penrith Roads and Maritime Services at the end of their test. Here at Drivezone Driving School our driving instructors Dominic, Ami, Laurie and Colin will prepare you 100% for the test at the new Penrith Roads and Maritime Services site taking into account all of the circumstances that arise from the location change. Drivezone Driving School driving instructors will take you to the new Penrith Roads and Maritime Services and teach you how to deal with all of the new test situations at the new location. If you would like to make a booking with Drivezone Driving School call us on 02 4706 9318 or 0406 977 112 or go to our website www.webserver/drivezone or email us on admin@webserver/drivezone. St Marys is situated half way between Penrith and Mt Druitt. There is a local RMS in St Marys but it only conducts Driver Knowledge Test not Ps Driving Tests. 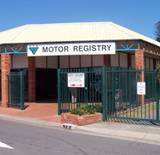 People living within St Marys can either go for their driving test at Penrith or Mt Druitt RMSs. To book in your driving lessons with one of our Drivezone Driving Instructors call our Ami our friendly receptionist on 02 4706 9318 or 0406 977 112 today! Richmond NSW has many turns at complex traffic lights. When making turns at traffic lights on approaching the green light you just slow right down to allow for the amber light ensuring you can stop safe behind Stop solid line. If you are the first car waiting in line to turn either left or right you may proceed out slowly up to the furtherest pedestrian line and stop. You then need to give way to oncoming traffic, traffic turning left and pedestrians. When it is all clear you may make your turn. If whilst waiting in the intersection, the green light goes to amber you must proceed to make the right hand turn as you do not want your car to be caught stationery in the middle of the intersection once the light goes red. When coming to a set of traffic lights always check the left hand traffic light post as it may have an advisory sign stating left turn on red permitted after stopping. If you come to this sign you must first stop behind the first line closet to you, like when using a Stop sign. Once you have come to a complete stop, you may creep forward whist checking right for traffic and if the traffic is clear or there is a safe gap to your right you may proceed with your left hand turn. Please be aware while you are waiting to turn left, your traffic lights do not go green. If whilst waiting out in the centre if the traffic single goes amber it is safe to turn on the amber light making sure that no one in front runs the red light and all traffic is clear. If you have a red arrow traffic light you must wait until it disappears in which case you can move put into the centre and give way or if it goes solid green you may turn. When taking your Provisional 1 on road driving test at Richmond Roads and Maritime Services the above driving scenarios are extremely common. To book your Drivezone Driving School Richmond NSW driving lesson call our bookings office on 02 4706 9318 or 0406 977 112 and speak to our receptionist Ami. Drivezone Driving School has 21 years’ experience in teaching people to learn to drive in the Katoomba Upper Blue Mountains region and surrounding suburbs. Drivezone Driving School locally based Katoomba and Upper Blue Mountains driving instructors are dedicated to making learning to drive safe, fun and stress free. 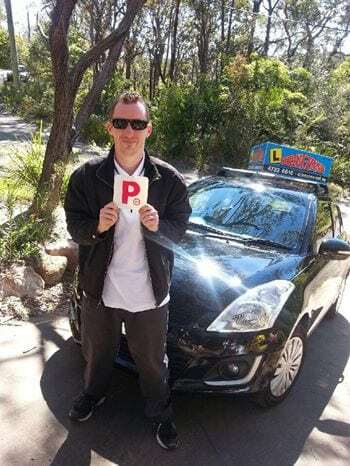 Drivezone Driving Instructors will teach you to learn to drive by showing you everything you need to know in order to pass your Ps test first go as well as helping you learn to be safe driving member of the Katoomba Upper Blue Mountains areas and surrounding suburbs. To book in your driving lesson with one of our dedicated and friendly Katoomba and Upper Blue Mountains region driving instructors call our Drivezone receptionist Ami on 02 4706 9318 or 0406 977 112 today! Drivezone Driving School Blue Mountains is a driving school with 22 years experience that conducts driving lesson in the Blue Mountains, covering top to bottom from Lapstone to Springwood to Katoomba to Mount Victoria in both manual and automatic vehicles. Drivezone Driving School Blue Mountains conduct tests at both Springwood and Katoomba RMS’s, providing each Drivezone Driving School Blue Mountains student with the knowledge required to pass in both locations. Drivezone Driving School Blue Mountains also conducts lessons within the test areas ensuring each Drivezone Driving School Blue Mountains is comfortable within the test route areas on the day of their test. Drivezone Driving School Blue Mountains provide professional uninterrupted one hour lesson as we have a head bookings office meaning our local Blue Mountains driving instructors do not take bookings, queries or phone calls during lessons or in the car. This ensures each Drivezone Driving School Blue Mountains student gets their Drivezone Driving Instructors full attention for the entire one hour lesson ensuring safety for the student as well as ensuring they get their money’s worth in each driving lesson. Each Drivezone Driving School Blue Mountains student will receive a personalised Drivezone Driving School recordcard, tailoring each lesson to suit each individual students needs and requirements so that we can get you on the road to your Ps straight away. Here at Drivezone Driving School our local Blue Mountains driving instructors understand the mountainous and hilly terrain of the area. They will give each Drivezone Driving School Blue Mountains student the practical knowledge to be able to drive in the Blue Mountains such as how to position and corner the vehicle within these areas, how to deal with weather conditions such as heavy fog and rain as well as providing each Drivezone Driving School Blue Mountains student the knowledge both practical and theory to be able to pass their driving test first try and become a safer and capable member of the Blue Mountains driving community. Here at Drivezone Driving School Blue Mountains we take pride in ensuring our students have the knowledge and skill to pass first try and nothing means more to us then to provide each Drivezone Driving School Blue Mountains student with a safe environment in which to conduct their lessons and knowing they will be a safe member of the driving community, treating Drivezone Driving School Blue Mountains student as if they were our own son or daughter. To book a Drivezone Driving School Blue Mountains driving lesson in the Blue Mountains, please contact our friendly receptionist, Ami at 02 4706 9318 or 0406 977 112 and we can get you on the road to your Ps straight away. Need a Blue Mountains Driving School and Blue Mountains Driving Lessons then you need Drivezone Driving School. Drivezone Driving School is a driving school servicing the Richmond NSW area. Richmond is situated to the north west of Sydney. Drivezone Driving School provides driving lessons in automatic and manual vehicles and has locally based Richmond driving instructors dedicated to teaching in the Richmond area. Richmond is a small semi rural area but has many traffic lights and complicated cross intersections. It can get very congested with heavy traffic coming in from North Richmond in the mornings and afternoons. Richmond test routes have many varied speed zones for example 40 through Hobartville and also the 60 to 80 zones travelling out to North Richmond or driving along Castlereagh Road. Richmond tests route also requires you to sometimes go over the train level crossing, this requires you to be aware if the lights flash red your vehicle is preparing to stop safely behind the solid white line road marking. Drivezone Driving School has been operating in Richmond for over 25 years and has local driving instructors ready to help you with your driving as well as getting your Provisional 1 on road test in Richmond and showing you the complicated sections of the Provisional 1 on road test for the Richmond Roads and Maritime Services which is located at shop 5, 173 Windsor Street Richmond. Drivezone Driving School Richmond has three full time driving instructors covering the Richmond areas. Dominic does lessons in auto and if you are looking to do manual lessons in your own manual vehicle, Dominic is fully qualified to take you out and has an unrestricted licence. Laurie does auto lessons in Richmond full time and Colin is Drivezone Driving Schools full time manual driving instructor. If you would like to make a booking please call our friendly Drivezone Driving School receptionist Ami on 02 4706 9318 or 0406 977 112 to organise your first driving lesson and get driving today! Here at Drivezone Driving School our fleet consists of , Kia Rios, Kia Picantos, Hyundai 130, Toyota Corolla, Mazda 3 and Mazda 2. All cars are late models, have dual controls, have air conditioning and kept to Roads and Maritime Services standards. We have female and male instructors here as part of our Drivezone Driving School Fleet. Our Driving Instructors cover the Penrith, Richmond and Springwood Roads and Maritime Services, each area having a driving instructor that is local to that area with a vast knowledge of the driving tests in those areas. The dual controls in our vehicles work simultaneously with master brake and or clutch fitted standard with the vehicle meaning we have total control of you and the car with you at all times and can see especially in a manual vehicle that the pedals are being used correctly this ensuring you are being taught the right techniques straight from the start. They are connected together via a cable which means we can brake, accelerate or change gears from the left seat if ever needed. For any student who would like to learn to drive a manual Drivezone Driving School has a full time manual driving instructor, Colin who has been teaching students to drive manual vehicle for over 20 years. He has a brand new Hyundai i30. He can teach students from a beginner who has never driven to anyone who would like to convert from driving an automatic to driving a manual car. For people wishing to conduct automatic driving lessons in the Penrith Area, Drivezone Driving School has 3 automatic driving instructors available from Monday to Friday 7am to 6pm and Saturdays 7am to 1.30pm. To book a driving lesson with one of our expert driving instructors here at Drivezone Driving School contact our friendly receptionist Ami on 02 4706 9318 or 0406 977 112. Prior to your test date make sure your logbook is fully completed and all topics are signed and dated noting entries such “ditto marks” or ticks will not be accepted and any driving entries recorded greater than 2 hours continuous driving will have 15 minutes deducted from the total hours. Upon arriving at the RMS park your vehicle in the allocated parking spots for driving test vehicles 15 minutes prior to your driving test time. Fill out a licence application form. Upon entering the RMS building look out and approach the driving test counters and present your filled out paperwork including your licence application form, logbook and licence, placing your Learners Licence between the front page and first page of your logbook. Once your paperwork has been checked over by RMS staff take a seat and wait for your name to called up at the appropriate test time. Here at Drivezone Driving School if you have lessons with us and use our vehicle for the driving test our driving instructors will go through the above with you prior to your test, will check your log book to make sure it is filled out correctly and will be accepted by the RMS on the day of your test. Your Drivezone driving instructor will also go through each of the above steps with you on your driving test day ensuring your driving test experience is stress free and easy so all you have to concentrate on is passing your Provisional 1 driving test and obtaining your Provisional 1 drivers licence!